Wadjet and the vulture goddess Nekhbet were described as the nebty (‘two ladies’), who served as tutelary deities of Lower and Upper Egypt respectively,symbolising the essential duality of the Egyptian world. Together they presided over one of the elements of the Royal Titulary, the ‘two ladies’ name, which is attested as early as the 1st Dynasty. Wadjyt was also sometimes portrayed in leonine form, since she and the uraeus were often identified with the lioness-goddess known as the ‘Eye of Ra’ (Source; Dictionary of Ancient Egypt, Shaw and Nicholson). The Lady of Devouring Flame (the creative force of the sun-god). She who brings Truth and Justice. It initially derived from first hand observations of solar phenomena such as flares and coronal mass ejections ‘striking out’ from our ancient hazed red Sun. In the second instance, since Egypt’s god king planets exhibited similar ‘striking out’ and other snakelike traits by means of solar wind interactions and volcanism, they too were also perceived to be protected by the ‘Great Serpent.’ As a result the uraeus became an iconic symbol of protection embodied in the goddess Wadjet – taking pride and place as a cobra emblazoned on the forehead of the divine royal family as well as draped over numerous solar disks. A solar flare is a electromagnetic storm on the Sun which appears to be a very bright spot and a gaseous surface eruption. Solar flares release huge amounts of high-energy particles and gases and are tremendously hot (from 3.6 million to 24 million °F). They are ejected thousands of miles from the surface of the Sun. A solar prominence (also known as a filament) is an arc of plasma that erupts from the surface of the Sun. Prominences can loop hundreds of thousands of miles into space. Prominences are held above the Sun’s surface by strong magnetic fields and can last for many months. At some time in their existence, most prominences will erupt, spewing enormous amounts of solar material into space. Coronal mass ejections (CMEs) are huge, balloon-shaped plasma bursts that come from the Sun. As these bursts of solar wind rise above the Sun’s corona, they move along the Sun’s magnetic field lines and increase in temperature up to tens of millions of degrees. These bursts release up to 220 billion pounds (100 billion kg) of plasma. CMEs can disrupt Earth’s satellites. CMEs usually happen independently, but are sometimes associated with solar flares. CME’s and solar flares are currently the biggest explosions in our solar system, roughly approaching the power in one billion hydrogen bombs! They give rise to streams of charged particles, which greatly increase the solar wind, which is the normal outflow of invisibly charged particles from the sun. This can have a direct effect on earth in that, if a CME collides with earth, it excites a geomagnetic storm which increases in the aurora, commonly known as the northern or southern lights. As proposed 3,000 years of cosmic catastrophe (period approx. 3000 BC – birth of Christ) produced immeasurable quantities of debris, dust and gas. This debris eventually settled into the plane of the ecliptic where it had a drastic effect on the Sun’s appearance. Through the eyes of the ancient Egyptians the Sun appeared as a red orb exactly as depicted throughout the Nile Valley. This is supported by the fact that Egyptian art reveals not one single golden glaring Sun with a complete 360° sweep of sun rays (more here). The image on the left depicts a typical Egyptian Sun encircled by a yellow royal uraeus serpent (Wadjet) which was known to spit fire and venom at Egypt’s enemies. The image on the right was taken by SOHO and can be used for comparison, providing some idea of how the Sun appeared in a world dominated by cosmic catastrophe. A hazed Sun means there was no glare and the ability to look directly at the Sun without being blinded. This led to naked-eye observations such as coronal mass ejections (CMEs), flares and prominences. Solar phenomena that, only under certain conditions, we may be privy to witness during a solar eclipse i.e. CMEs protruding from Sun when occulted by the Moon’s disk. 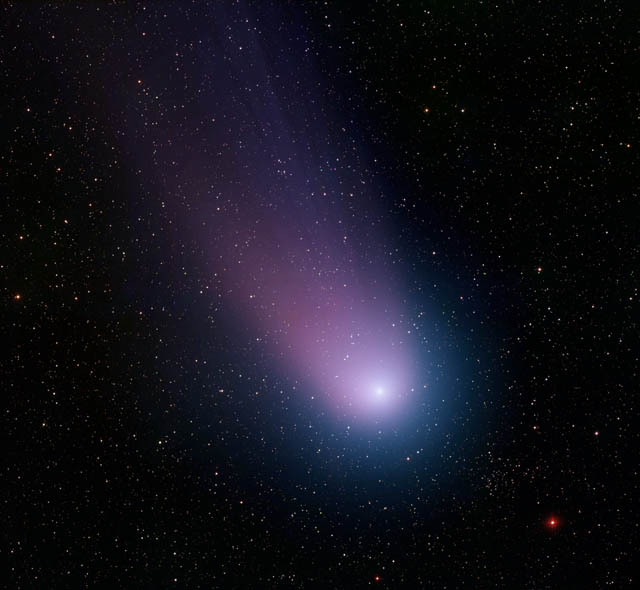 It has been suggested that violent flares are caused by sungrazing cometary bodies. To quote Stephen Smith (Thunderbolts). YouTube Video of Re ‘attacking’ Comet Neat here. Taking into account the above, the correlation becomes very apparent. The cobra (Wadjet) is a symbolic representation of vicious CME’s ‘striking out’ several times the diameter of the Sun at sungrazing cometary bodies. We have snakelike CME’s protecting the body of Re by spitting fire and venom at Egypt’s enemies. In ancient times, such eruptions were observable on a daily basis and led to the natural belief that Re was the primary contestant in a perennial battle against the forces of evil. The yellow coronal ring encompassing the divine snake represents the highly charged million-degree corona of the Sun, bursting through as a yellow ring due to its 20 million degree temperature. Gold really was the ‘flesh of the gods’, as bursts of golden energy were also observed emanating from the body of Re, as in the image above. Here we may make sense of Wadjet’s epithet ‘goddess of the placenta’ – she was the goddess of Re’s organs (and the kings). There may also be a connection here with material connected to the Sun via a snakelike umbilical cord. The origin of the cobra lies with the Sun. Sacred Egyptian text further confirm direct observations of CMEs striking out from the Sun. Earth’s dusty atmosphere combined with a solar system littered with debris sees massive CMEs herald the actual rising of Re’s red disk – Re, having defeated the demons of the underworld once again rises victorious in the east. The Egyptians believed that the sun might just not rise again the next day, given cosmic catastrophe and observations of the Sun engaged in a perennial battle, such a belief becomes totally understandable. A classic case of mythology having its basis in some extraordinary but very real events. The goddess Wadjet protecting Re (Credit: Nasa). YouTube video of the Sun ‘striking out’. Towards the end is very close to what the ancient Egyptians actually observed!